How Long Can Carrots Stay In a Fridge? How to Tell If Carrots are Bad? How Long Does Cooked Carrots Last in the Refrigerator? Long ago, everybody has a root cellar in his or her home for food storage purposes. These days, a lot of homes are established without this amazing feature. If you’re lucky to have an older home having a root cellar, you have the choice to store there. Using this root cellar enables you to preserve and store carrots for long months at a time. The procedure is very simple. You pack the carrots into a sawdust or damp sand inside of big containers, food buckets, and Rubbermaid tubs. You can utilize whatever you have. On the contrary, rotten carrots should not be utilized, and they should be thrown immediately. Unluckily, one can’t see the “best use by” when it comes to storage of carrots, thus you should understand a thing or two, regarding how long carrots can be utilized. 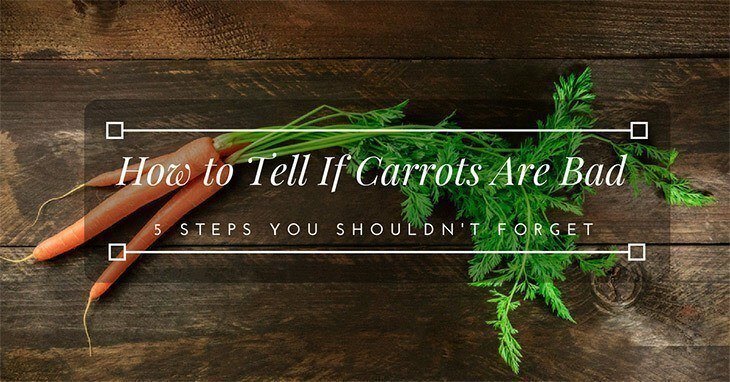 Continue reading to learn more about telling whether carrots are bad! As mentioned above, carrots do not come with the label “best use by,” thus you should pay attention to the period when they are selected. Generally, fresh carrots could last for four weeks, if they are stored in a refrigerator. On the other hand, if you keep carrots in a warm area, they could last for four days. Remember, that this is required in order to prolong its use. Furthermore, baby carrots come in different packages, which have a label; about for how long they are safe to eat. They can be utilized for around three to four weeks; however, if they are stored in the fridge. Keeping them in a warm area is not suggested. In any case, you should be cautious to the label as well as its expiration date. Also, you need to keep in mind that old carrots aren’t safe to use and they can cause negative effects on your digestive system, so they must be avoided. Moreover, cooked carrots are totally different and it can last for only one week, only if it is stored in a fridge. After that, it will lose its taste and it won’t look great. This is something that every individual must know, just because carrots are one of those typical vegetables on Earth. It’s better and hygienic to follow the right guidelines, which the government together with the food professionals issue. It’s also interesting to understand that long carrots last longer compared to other carrots because of having them an additional protective skin. It’s because baby carrots that don’t have any protective skin deteriorate soon in comparison to lengthy carrots. Furthermore, it’s essential to remember that baby carrots will ruin even soon if there’s the presence of moisture in the bag they’re kept. It’s vital to know the time when your carrots are safe to eat or how long organic carrots last because if you don’t know what happens if you eat bad carrots, you’ll end up eating poor carrots and it might deteriorate your health. It’s typical to look and feel the carrots and identify whether they’re bad or good to eat. Make sure that you look up for those small white tiny dots on its surface. When the small dots, which are typically recognized as white blush, are there, then they’re not safe to eat. Did you know that white blush on its surface was caused by dehydration because of the cuts on its surface? If you see some white blush on its surface, then they’re still safe to eat because it’s a sign, which the carrots are dying out and you need to consume it quickly. When there’s a white blush, it’s suggested to throw your carrots immediately. If the carrots create a mushy consistency and it became slimmer than the normal size of the carrot, it’s crucial for you to understand that they are not safe to eat at all. If you do, there is a possibility of bad health. You will find lots of health problems, which you take upon if you wish to eat the rotten and slimy carrots. In case you have purchased packed carrots at the department store, the simplest way is to check the date of the packaging that must be printed on its pack. Make sure that you buy carrots that aren’t going to root immediately. A rotten carrot would have a strange and odd smell that is mainly because of bacterial growth. 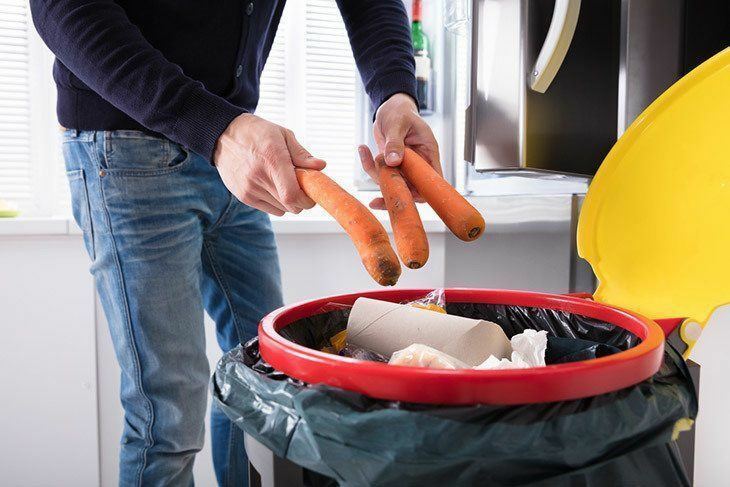 However, discard carrots when they give any type of strong smell because a fresh carrot doesn’t give any specific smell. 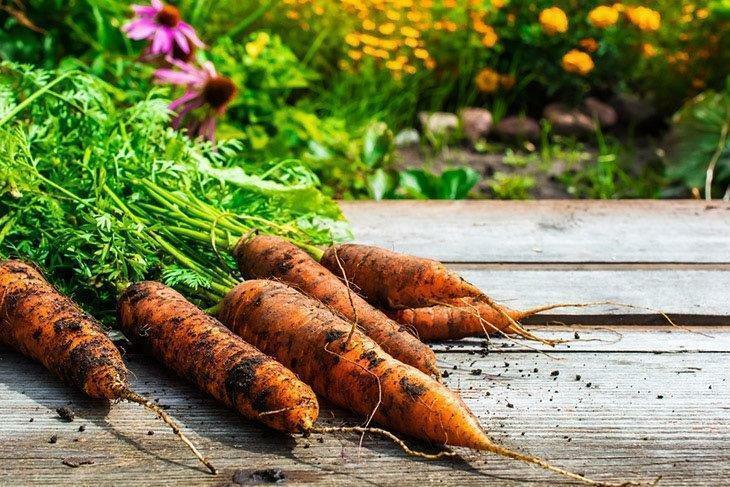 Given that carrots are mostly utilized in its raw form with least possibilities of their being cooked, thus, it is all the more significant to determine rotten carrot to invalidate your possibilities of falling ill.
Let’s say you have a carrot growing roots in your yard, the natural storage option will be your fridge, right? For the great storage, your carrot requires a temperature of at least 33 degrees Fahrenheit with at least 95% humidity. Your fridge is normally warmer than the best temperature; however, there are some hacks, which can help carrots last for 2 to 3 months in the refrigerator. Ensure that you do not wash your carrots before you keep them in the refrigerator. This is because the soil aids to delay the course of decay. It’s alright to get rid of the majority of it, but do not wash them. After you harvest your carrots, let it a dry in the sun for at least a few hours. It only requires being several hours. Doing so enables the skin period to seal. After following these procedures, cut off all the green tops, near to the roots. If you follow such steps, make sure that the carrots are dry and place it in a plastic storage bag. It’s great if you put some holes in the bag to allow air circulation and add a moistened paper towel on the end of the produce drawer. Putting the paper towel inside will allow humidity to enter the drawer, which is a crucial factor for prolonging the life of your carrots. Check the benefits of eating carrots. It’s at all times a big question by a lot of people on how to store their carrots so they last longer than its lifespan. The perfect way to know how long carrots last is to keep them without cutting the part of them and without peeling them. You need to bear in mind that you keep carrots in a plastic bag and store it in the fridge. Further, it’s surprising to know that you can preserve baby carrots in a similar way. Does celery need to be refrigerated? Celery is a root vegetable, similar to a carrot. Celery has a higher water content, so there are many ways to keep it fresh without refrigeration. However, in spite of having a limited lifespan, it’s possible for you to use frozen carrots in your refrigerator. 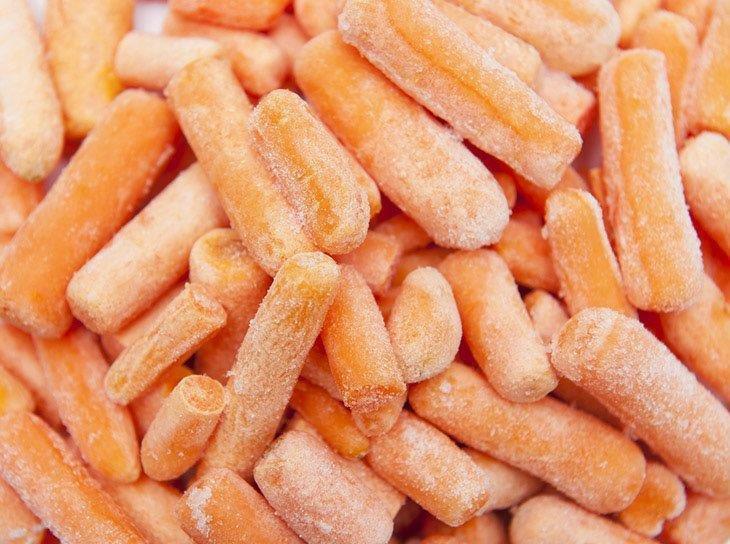 In order to have frozen carrots, the perfect way is to blanch your carrots and carefully place them in an airtight container and place in a high cooling fridge. Oftentimes, if there is a white blush on your carrots, then there might be a minor change in the taste of your carrots, but it’s still okay to consume them. 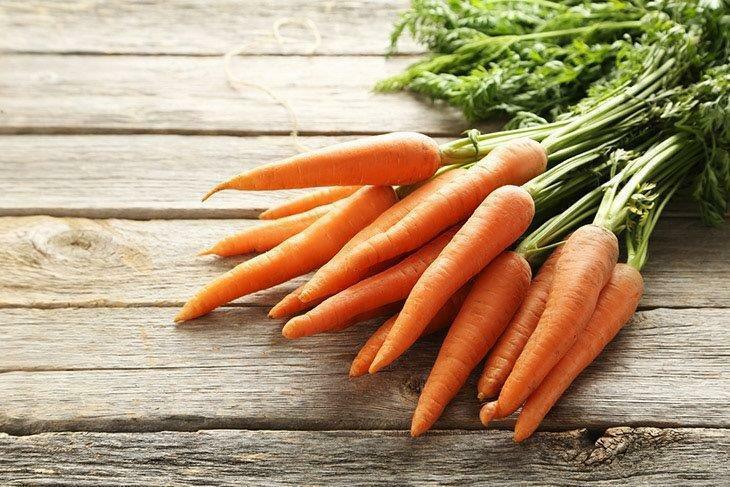 If you observe a growing root in the top of your carrots, then it’s just an indication of a further worsening of the carrot, and it is suggested if you utilize them right away as this will have significant effects on your health. If you observe that your carrots have a mushy flesh and musty smell, then it is a perfect time that you throw it as they aren’t safe to eat. The white blush is an indication of dehydration impacts only the color and texture of the carrots. It doesn’t impact the taste. If you plan to prolong the lifespan of your carrots by another week, then you can put them in a bag along with ice water inside the fridge. If your carrot only has a small section, which has become rotten, the rest of it is more than likely good. You can cut out the rotten area and check the rest of your carrot. If the rest looks healthy, you can just eat them. Soft rot or also known as rotten spots can happen when the tissue is damaged that makes it susceptible to bacteria. Cooking carrots with the proper amount of heat aids you kill all the bacteria, which may have infected your produce. It is a lot easier to cook them and store in your fridge for some period; however, the main concern that a lot of people ask is how long cooked carrots last in the fridge? In case you didn’t know yet, bacteria growth is quite fast at high temperatures of 40 degrees to 140 degrees Fahrenheit. Nevertheless, cooked carrots could stay in the refrigerator for at least three to four days, but this also varies on the way you store them. Put the cooked carrots in a shallow container or in airtight bags and refrigerate them. Also, you can say if your refrigerated carrots aren’t safe to wait if they have a bad odor. 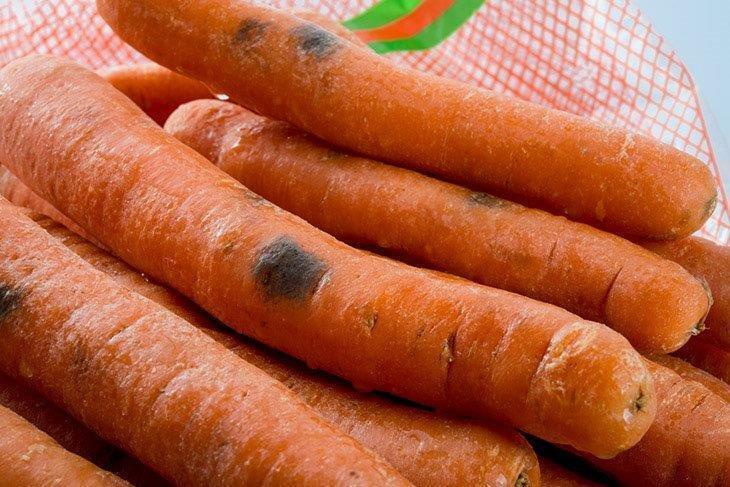 The look of your carrots could tell if they are bad. Keeping cooked carrots in your freezer can store your veggies up to twelve months or even more. Did you know that the ice prevents any biological procedures, which can result in your food to deteriorate? The ideal ways to preserve carrots in the freezer is through packing it in an airtight plastic bag. Apart from that, organic carrots are established devoid of the use of fertilizers, herbicides, pesticides, which can leave harmful excess. Thus, growing carrots in your own backyard are easy and the great part of it is that it doesn’t need lots of attention. You need to practice right storage procedures for your vegetables to prevent wastage. Everyone is aware that carrots are one of those vegetables, which are rich in vitamins and nutrients. Therefore, it is very crucial to consume them on a regular basis. If you purchase and store them for a very long time in your refrigerator, it is vital for you to know whether they are safe or bad to eat. You will find different methods by which you can determine if they’re bad and also there are methods by which you can prolong their lifespan. Do you have some questions in mind about this post? Tell your ideas by starting a conversation with us! Comment your thoughts below! Do you find this article helpful? Feel free to share it.